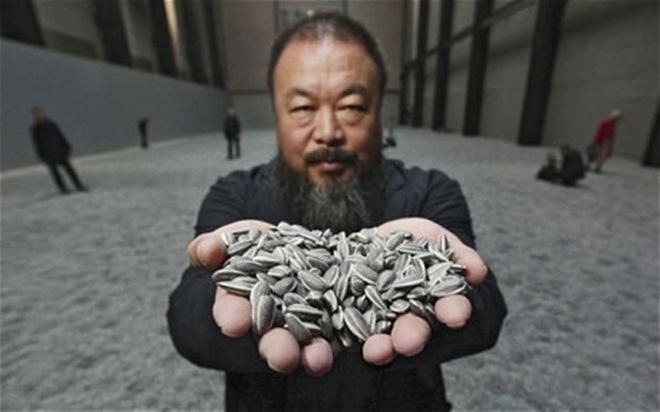 The rise of Chinese microblog services like Sina Weibo and Tencent Weibo as a social phenomenon has been a common story as of late, but Chinese artist Ai Weiwei has stayed loyal to Twitter, which he calls his “favorite city,” as his outlet to the censorship he faces in Beijing. No longer at home in his own city, Ai agreed that his life has mostly migrated onto the Internet and, more specifically, Twitter. The Chinese government used to be proud of Ai’s international success as an artist, even giving him the honor of collaborating on the design of the Olympic stadium in Beijing, but he has since fallen out of favor with them because of his unrelenting criticism of the establishment. In 2011, Ai was arrested and held for almost three months before being released with charges of tax evasion. Supporters attempted to raise money via domestic social media to pay his subsequent $2 million tax bill. In June and July, highly suspect court hearings were held for Ai’s appeal of the tax charge. He was blocked from attending, and the appeal was ultimately rejected.